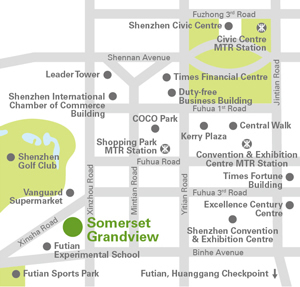 Somerset Grandview Shenzhen sits in the Futian Central Business District, next to Shenzhen Golf Club, the Shenzhen Convention and Exhibition Centre, and is surrounded by high-end office towers, shopping malls, and dining outlets. 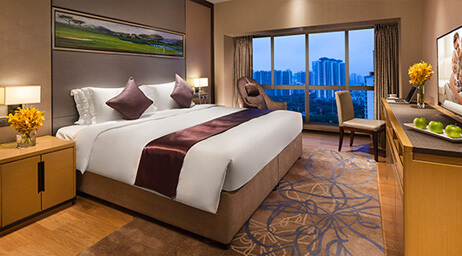 The serviced residence is also located within walking distance to subway lines 1 and 3, which provides easy access to other parts of Shenzhen. 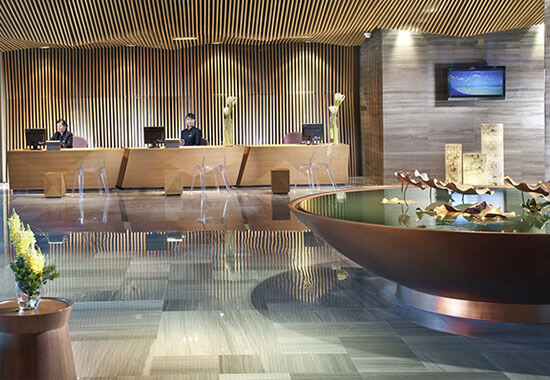 The Futian and Huanggang port that connects the city to Hong Kong is also just a 5-minute drive away. Somerset Grandview offers 192 spacious studios, one to three-bedroom apartments; each with a fully-equipped kitchen, separate living and work areas and a home entertainment system. 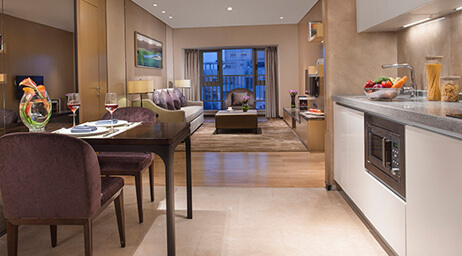 Residents can work out at the gymnasium, or enjoy facilities such as the jacuzzi, sauna, mini-movie theatre, children's playroom, hot yoga and snooker rooms. Round-the-clock security access ensures that you and your family can unwind with a peace of mind. High speed internet access, business support services and a dedicated business area in your apartment also allows you to work in the comfort of your home. 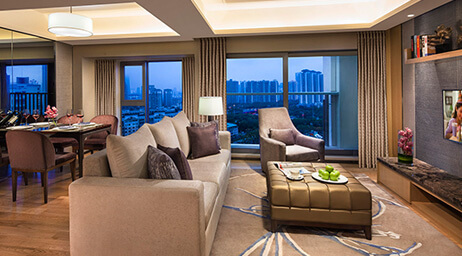 Somerset Grandview Shenzhen is one of a premier collection of The Ascott Limited's serviced residences in over 80 cities in Asia Pacific, Europe and the Gulf region. 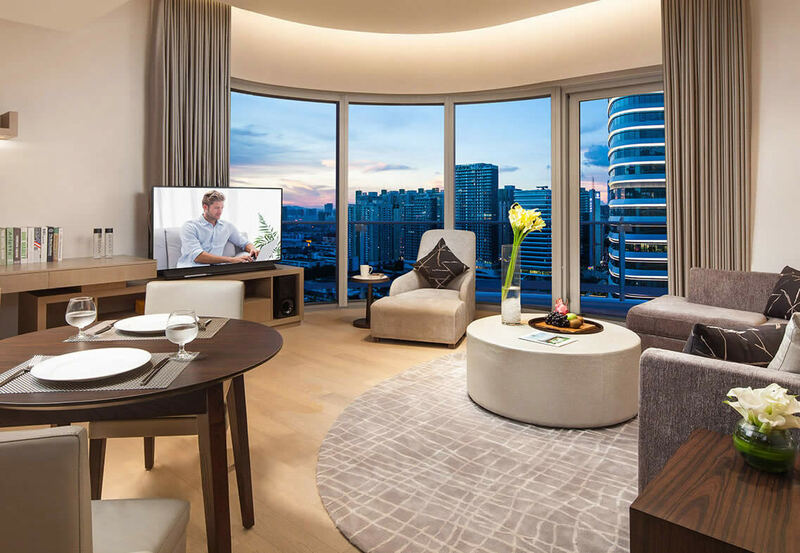 A member of CapitaLand, it is the global leader in branded serviced residences, bringing you 30 years' experience in supporting travellers who work and live away from home. 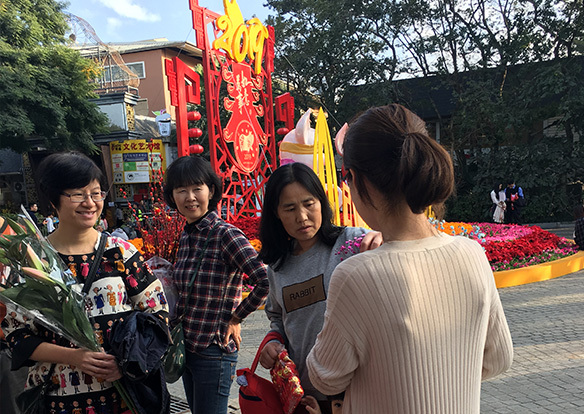 In order to thank you for the continue support from our guest, and celebrate the coming Chinese New Year, our Somerset Grandview Shenzhen organized an activity – Outing to Touch Flower Town on 2 February. Going to the flower market is a traditional custom in Guangdong. Not only can you visit the old architecture of Netherlands, but also you can enjoy all kinds of flowers and know the meaning of flower in the Flower Town. The guest bought the flowers that they liked and very enjoy the journey. All the guest hope more and more outing activity in the future. To make our residents' life more interesting, keep in good health, we organized an Yoga Class on 14 November. Our residents cooperated with the teacher and practiced yoga moves, they all were learned much about Yoga after one hour more prcatice. 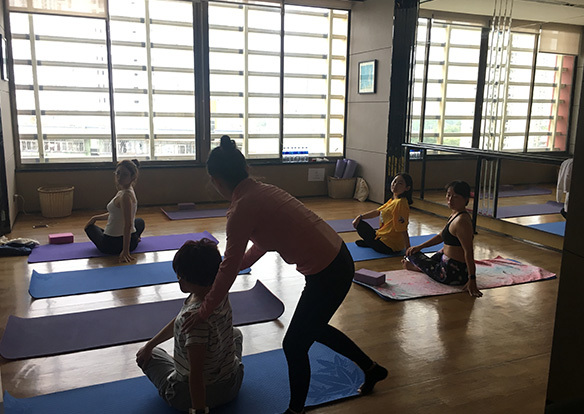 After the class, our residents shared experience with each other and teacher, also got the teacher's wechat, to learn more professional knowledge about Yoga. 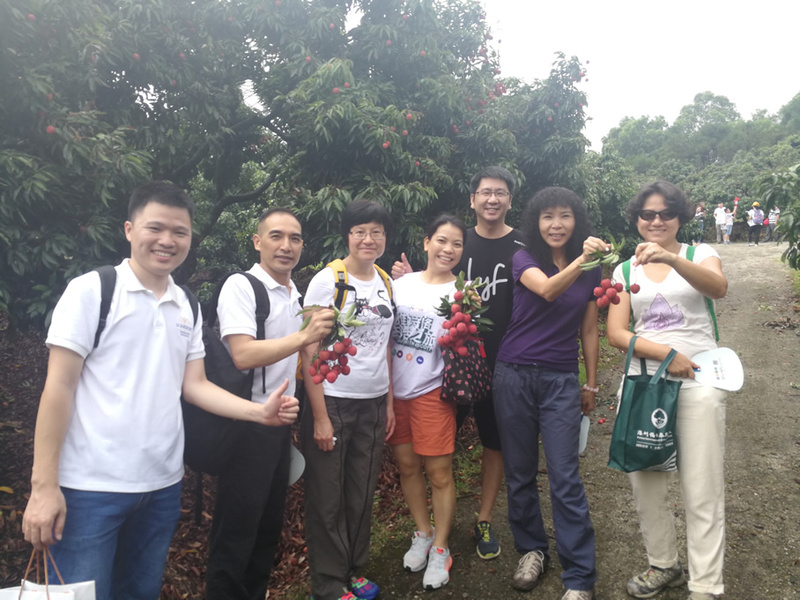 Every year the lychee season, we organized guest to picking up lychee by themselves, on the one hand to let them have a rich and colourful weekend, on the other hand to have a taste for Guangdong typical fruits in the summer. All of the guests were enjoyed the event and learnt how inentify different kinds of lychee, like Guiwei, Nuomici.especilly the children who even trying to climbing trees. Let’s Change! Climate Change! Our climate is changing, in roder to make a difference in Earth Hour 2018 with our guest, we invited our guest to particiate in the activity of donate used clothes. 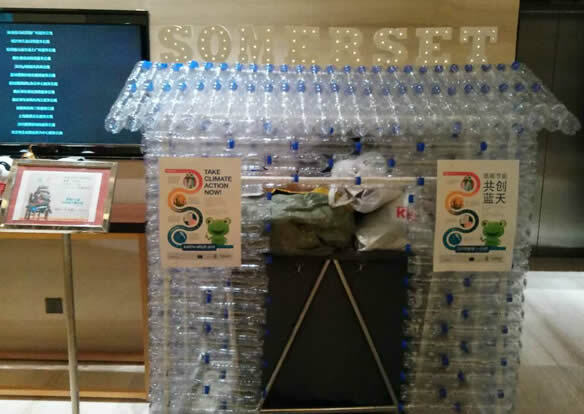 We set a "Somerset" house which constructed by mineral water bottles in the lobby, the guest can throw clothes into the house. All this clothes will collect by the charity called FeiMaYi. Our guest join in the campaign and satrt practising in environmental protection. 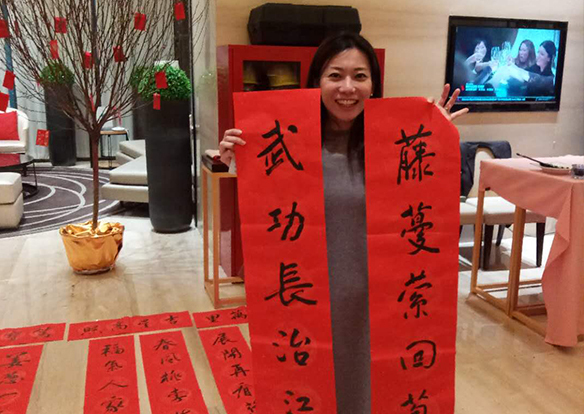 Chinese couplets are one of the oldest traditions to celebrate Chinese New Year. People paste Spring Festival Couplets at home to expect the good fortune and happiness in the coming new year. In appreciation of our guest's continuous support, we have invited a calligrapher Mr. Lin to write “福”(Fu) and “春联”(Chun Lian) as complimentary Spring Festival presents for our resident guest. 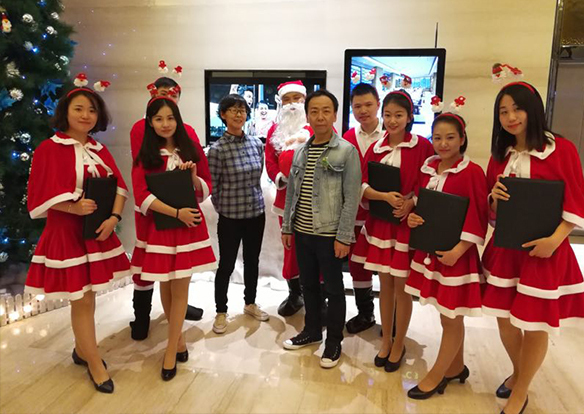 In order to enrich residents life, Somerset Grandview Shenzhen organized a Christmas Caroling activity on Christmas Eve. On that day, staff dressed Christmas outfits singing the Christmas songs. Also we prepared small gifts and wish a Merry Christmas for residents. The residents appreciated our activity and hope there are more activities in the future.